Looking for a unique gift for the man in your life? 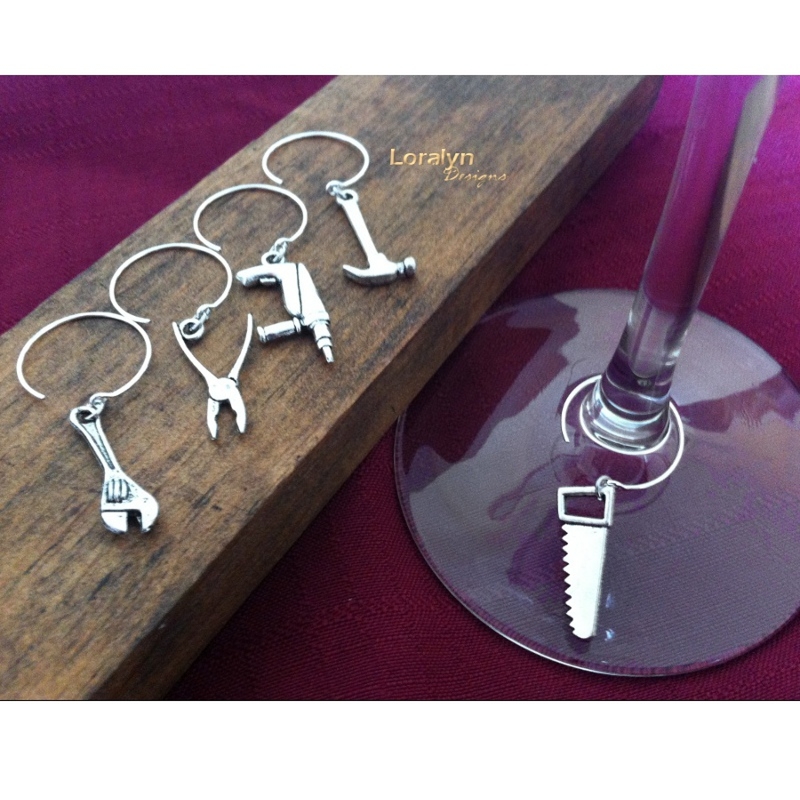 These wine charms are perfect if your Dad, brother, boyfriend, etc... likes wine or hosts parties where friends and family drink wine. 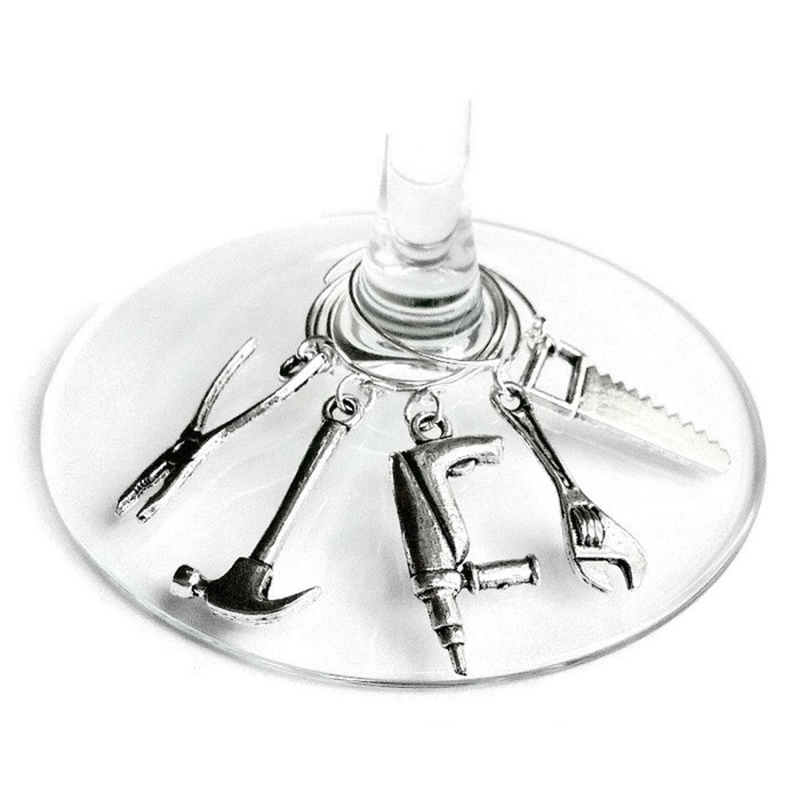 Choose your charm and place it around your wine glass stem and you will never have to wonder again which glass is yours! This set includes: (1) hammer, (1) pliers, (1) wrench, (1) hand saw and (1) drill. Each charm is made from Tibetan silver metal and finished on both sides. 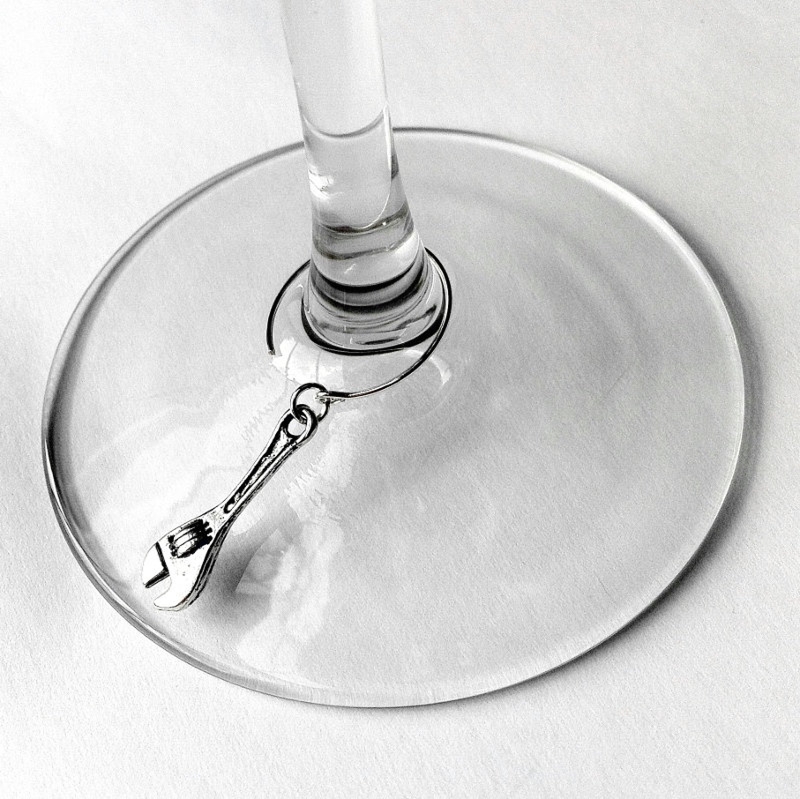 The wine stem hook is made from memory wire so no need to secure it closed, simply place around the stem and the ring will retain its shape and hang securely! 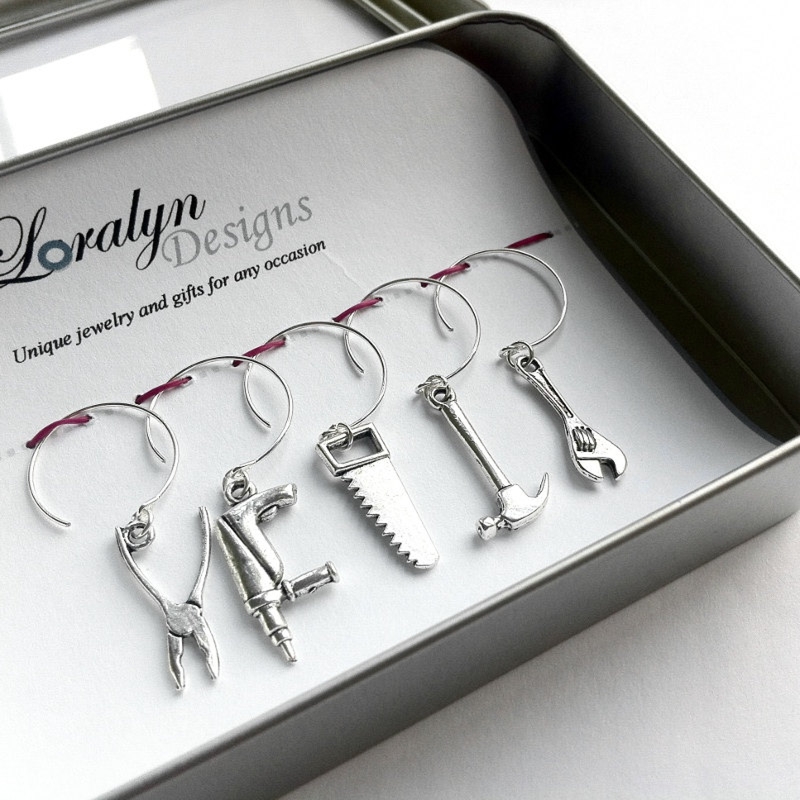 This wine charm gift set comes packaged in a silver tin with a clear lid. Makes a great addition to any gift basket!